Genesis Drainage have providing drain repairing in Worcester and surrounding areas for several years. From our many years, we have learnt that the extent of damage to a drain can fluctuate depending on how old the drain is, the last time it was checked and any other factors. With our drain repairs in Worcester, we promise that no matter how damaged the drains may be, we have the skills and experience to handle it with ease. Our goal is to repair the drain as efficiently and promptly as possible while causing as little disturbance to your premises. Some companies may say that a problem is much worse than it actually is, resulting in you having to pay more than necessary. By choosing Genesis Drainage for your drain repairing in Worcester, we guarantee to find the most cost-effective methods and only charge for work that is required. 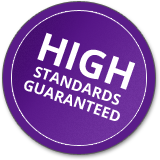 You can put your trust into our friendly expert team to complete the repairs to high standards. We cater our services to each of our clients, so if you require drain repairs in Worcester for your domestic or commercial premises, we will accommodate to your requirements. Genesis Drainage have over 40 years of experience providing drain repairing in Worcester and in the region. We are passionate about keeping reputation to the high level that we are known for. Over the years we have learnt the best methods to conduct drain repairs, making us experts for all problems that could appear with any drainage systems. As well as our many drainage services, we offer a 24/7 emergency callout service for all of those unforeseen drain damages. We also use the latest technology for our CCTV drain surveys that allows us to find the exact problem with the drainage system. Our team can then quickly find a solution professionally and instantly. 40 Years of Experience – We have been tackling all sorts of damaged and blocked drainage systems over the last 40 years, there is not an issue that we are not able to fix, we have seen it all before! 24/7 Emergency Call out Service – If it is the middle of the night or on a Saturday evening, a member of our expert team is able to come and take care of any problem that may have occurred unexpectedly. Affordable and Competitive – Our services are guaranteed to be of high standards, our in-house team do their best the uphold our reputation. However, our prices are reasonable and competitive within the region.